1. Combine flour, sugar, cocoa, baking soda, baking powder, and salt in a large mixing bowl or stand mixer. 2. Add eggs, coffee, buttermilk, oil, and vanilla. 3. Beat at medium speed for two minutes. Batter will be thin. 4. Pour batter into a greased and floured 9×13 pan or two 9 inch cake pans. 5. Bake at 350 degrees for 35-40 minutes for a 9×13, or 30-35 minutes for layer pans. 6. Combine frosting ingredients and mix with a hand or stand mixer. Spread frosting on cooled cakes. St. Mary’s University senior Biology major Alyssa Treviño, 22, must handle every college student’s struggles—in addition to dealing with hypertrophic cardiomyopathy. Treviño talks about her everyday habits, some great advice, and her sunny outlook on life. 1. Alyssa Trevino, senior Biology major, contemplates on a homework problem amid a noisy cafeteria. 2. Trevino laughs at a sorority sister’s joke in the cafeteria. 3. Alyssa Rey, freshman Biology major, catches up on homework in the cafeteria before it’s time for class while Jessica Ardila, sophomore English major, enjoys lunch. 4. 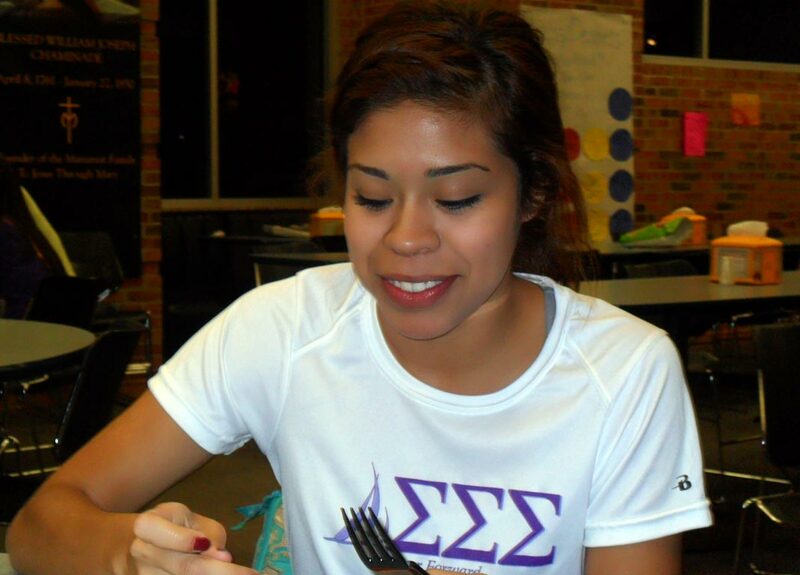 Denisse Zamora, sophomore International Relations major, and Trevino fight over the last bits of lunch left! 5. Trevino waits in line to pay for a snack in the Diamondback Cafe. Sophomore English major Jessica Ardila talks about her experience as a dancer and her time on the St. Mary’s University Code Blue Dance Team. 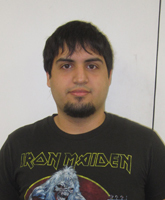 Student Nicolas Campana answers a few questions about himself. Campana explains a few quirky facts about his family and his hobbies that make him unique.